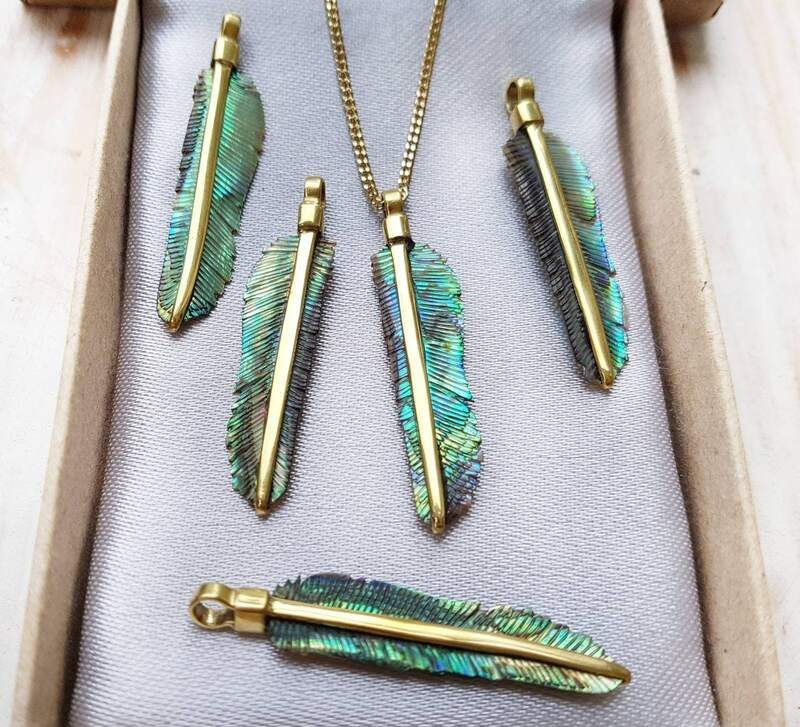 Join us in the feather tribe with this beautiful, hand carved abalone shell feather necklace with elegant Brass spine. Super mini; the feather pendant itself is 1.57 inches (4 cms) from the tip to the top of the stem and 0.39 inches wide (1 cm). Together with the chain the necklace length is 10.43 inches (26.5 cms). This one is the smaller of the abalone feathers we sell. It is hand carved from sustainably sourced abalone shell from the clear waters of Indonesia. The spine is brass. The feather pendant comes on a brass chain. Very thin pieces. Not near the color as shown in the pictures. Long time to receive as it is international. nice carving.